I hate internet memes too, but I like this one. List 10(ish) books that had a big influence on your life. Here are Will Wilkinson’s and Conor Friedersdorf’s and Ross Douthat’s. At the end of the third year at Chis and Sid, I won a prize for the most improved student. After coming dead last in my class in the autumn and winter terms, I came first in class at the end of the year and won a book voucher (I did the same thing in each of the subsequent years too but, by then, they were on to me – no more prizes for me). On my way home from school, I stopped in the bookshop and picked up a book called Programming in BASIC (Beginners All-Purpose Symbolic Instruction Code). My mum’s company had recently bought a mini-computer and mum took me to work one day to show it off. It was the first computer that I ever saw and she left me on my own with it for a couple of hours. I found the games! It had a really primitive version of 20 Questions that I played over and over, fascinated that this chunk of metal could figure out what I was thinking. The highlight was when it didn’t guess my animal and it asked me for a question that would distinguish apes from moneys. The full page dot-matrix ASCII of Snoopy made an impression too. A couple of years later, when I won that prize, there was no question but that I would buy myself a book on programming. I didn’t have a computer though, so I wrote my programs on paper and imagined them running. 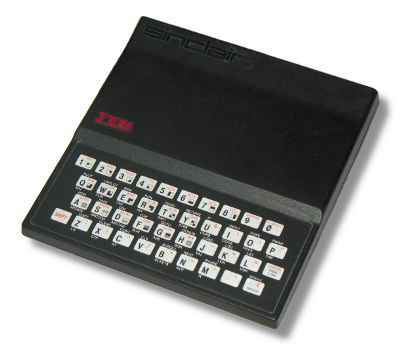 Another year went by before Sir Clive Sinclair – who inherited the title Greatest Living Englishman when Winston Churchill died – released the first home computer for under a £100. I saved up and bought myself one. As soon as that fuzzy little K cursor started blinking in the corner of my TV screen I was hooked and there was no holding me back. I drew my own ascii art. I played chess in 1kB. I painstakingly copied the machine code for a draughts program byte by byte from a book. I wrote a Monopoly program. I wrote a program to do Fourier Analysis. I learned Z80 assembly language which I hand-assembled using look-up tables because I didn’t have an assembler. Non-programmers often don’t understand what a creative activity programming is. They think it’s about following mundane instructions. I can’t think of a more creative activity. It’s truly liberating to discover that you can make something out of nothing but the thoughts in your head. Maybe people who are gifted at painting or music get a hint of this but to suddenly find that you can imagine something and then go build it! It makes you feel superhuman. 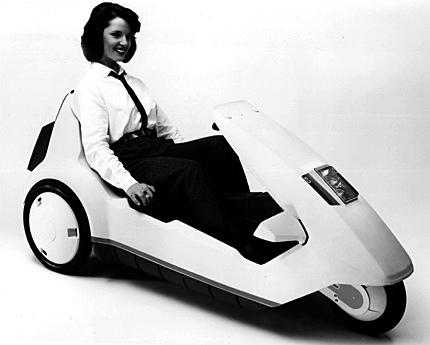 Sinclair also invented the first commercial electric car which turned out not to be so commercial after all and Uncle Clive lost both his fame and his fortune. A fickle nation turned its love to Alan Sugar and his wondrous Amstrads but I’ll always be grateful to Sir Clive for the gift he gave me. Pingback: Ragged Clown » Blog Archive » Buccaneer Scholars Unite! Wow, this sounds like it was written by the smart British version of me in an alternate timeline.